A misinterpreted order, near slaughter, and casting blame. 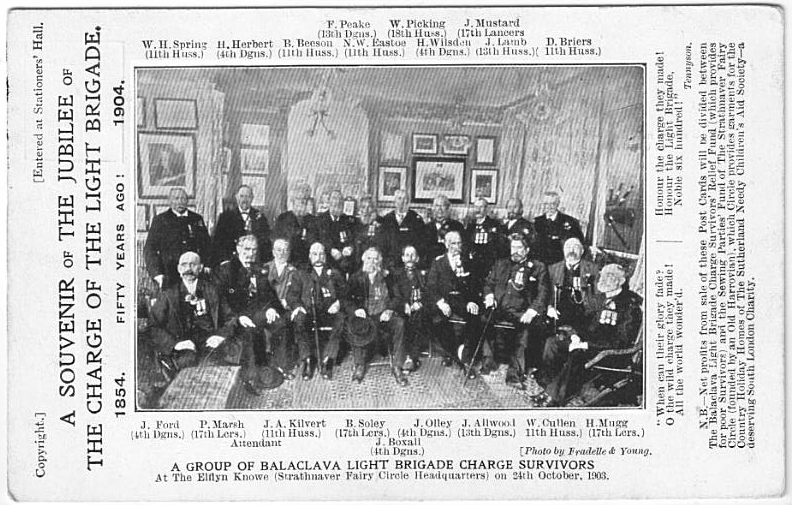 The Battle of Balaklava is remembered primarily for the Charge of the Light Brigade. 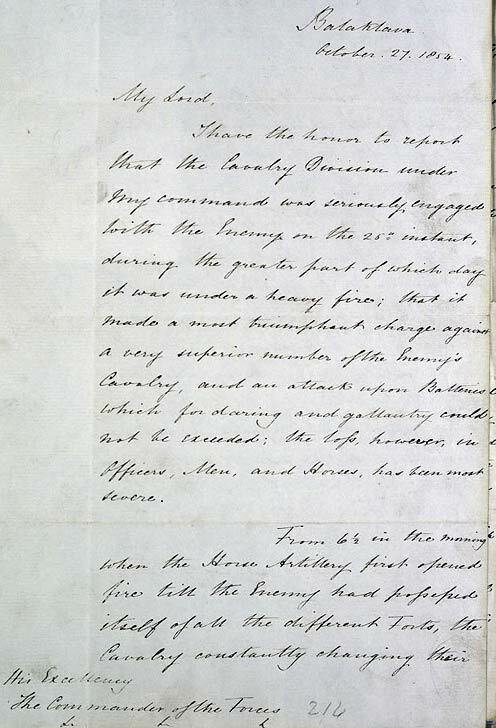 However, there were other events in the battle that, militarily, were equally important. 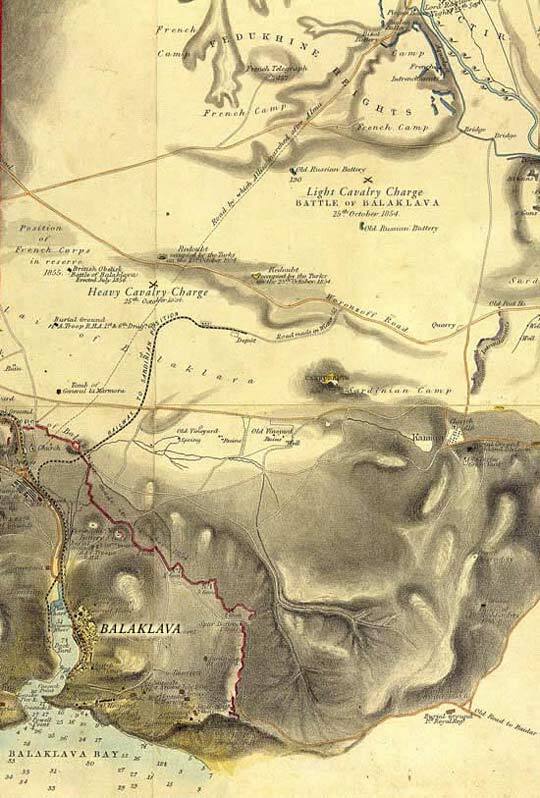 An important factor in the Battle of Balaklava was the terrain over which it was fought. Two valleys, separated by a ridge, were the scenes of three distinct phases of the battle: two cavalry charges and a standing defence by the 93rd Highlanders. 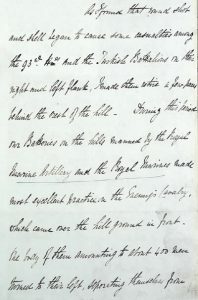 The ridge was significant in that it obscured the action in the north valley from the view of the Commander-in-Chief, Lord Raglan. 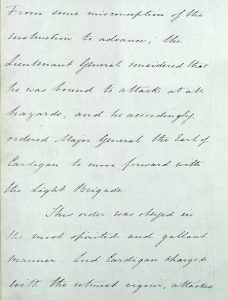 His inability to see what was happening may have been one reason for the confusing order sent to the Light Brigade during the battle. 25 October 1854 saw the British and French forces dispersed to the south of Sevastopol. The French forces were based on the harbour at Kamiesch to the south-west of the city and the British at Balaklava to the south-east. British and French forces were also manning defensive positions due south of Sevastopol. Between the British positions on the edge of Sevastopol and their base at Balaklava were a number of Turkish and French troops. 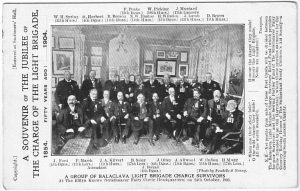 The first move by Russian forces towards Balaklava was repulsed by the stand of the 93rd Highlanders, led by Major-General Sir Colin Campbell. Campbell formed his men into a line (rather than into a square, which was the accepted way for infantry to face a cavalry charge) and the probing Russian advance was driven off with volleys of musket fire. This action became known as ‘The Thin Red Line’. 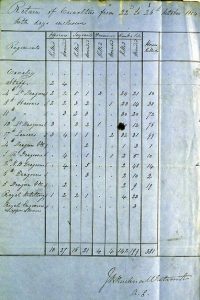 For more on ‘The Thin Red Line’, link to the website of the Argyll and Sutherland Highlanders (which was formed by the amalgamation of the 91st and 93rd Highlanders in 1881). Repelled by the 93rd Highlanders, the Russians regrouped and moved more of their cavalry into the south valley. Brigadier-General Scarlett, commander of the Heavy Brigade of cavalry, saw this and anticipated another Russian attack. He moved quickly and led the Heavy Brigade on an uphill charge into some 2,000 Russian horsemen before the enemy could complete its preparations. The Russians were duly forced back into the north valley. Meanwhile the Light Brigade, commanded by Major-General the Earl of Cardigan, was awaiting orders. 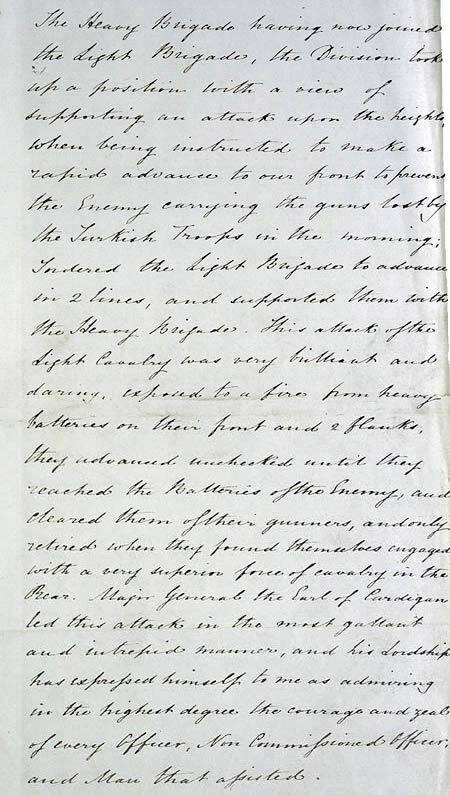 The brigade consisted of the 13th Light Dragoons, 4th Light Dragoons, 17th Lancers, 8th Hussars and 11th Hussars. 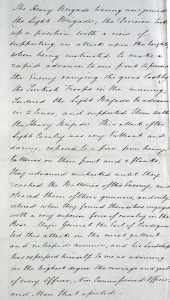 The Light Brigade, together with the Heavy Brigade, made up the cavalry division which was commanded by Lieutenant-General the Earl of Lucan. 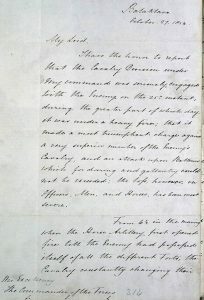 The order was brought initially to Lucan by Captain Nolan, a talented cavalry officer serving as aide-de-camp to Brigadier-General Airey (the Quarter Master General). 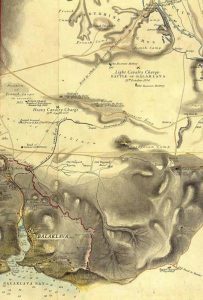 Lucan passed the order on to Cardigan who, in response, led a charge of 673 soldiers up the length of the valley between two rows of Russian artillery on the heights. They were bombarded from all sides and suffered heavy casualties. It was a fiasco and only a charge by French cavalry saved the Light Brigade from total destruction. The battle ended with the Russians retaining their guns and their position, although they had failed to break through the British lines. 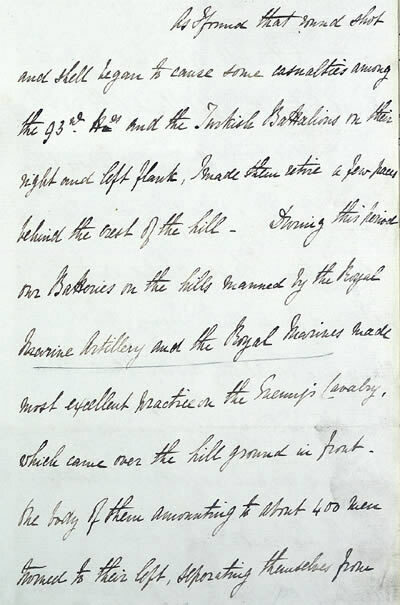 The interpretation of the order to attack has been the subject of intense speculation by historians. 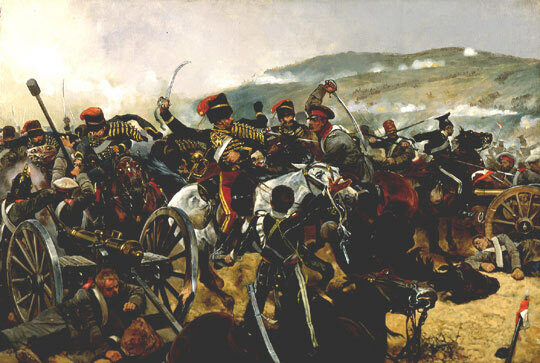 A popular theory is that the order referred to recapturing Turkish guns that were being taken by Russian forces in the hills above the battlefield. 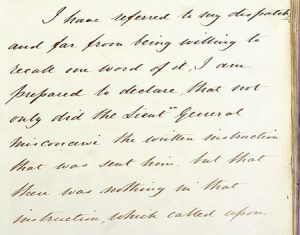 Nolan, however, seems to have assumed the target was the Russian guns about a mile away up the north valley and may have advised Lucan to lead the charge there. Nolan, who charged with the 17th Lancers, was the first to be killed and was thus unable to clarify this point. Lucan and Cardigan for their part hated each other. (Lucan had been married to Cardigan’s youngest sister but was now separated from her.) 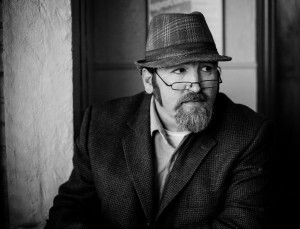 None of the personalities involved in initiating the charge appear to have acted well. 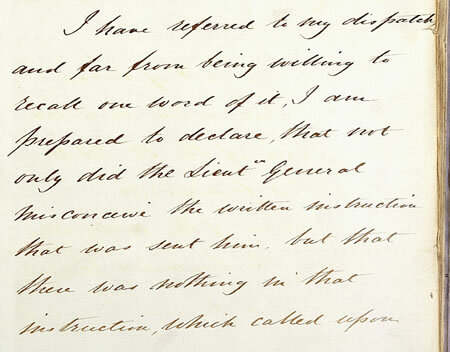 Raglan’s order was imprecise, Airey’s drafting of the order was ambiguous, Nolan failed to explain the order to Lucan adequately, Lucan failed to question Nolan properly to establish his commander’s intent and Cardigan failed to seek adequate clarification from Lucan. 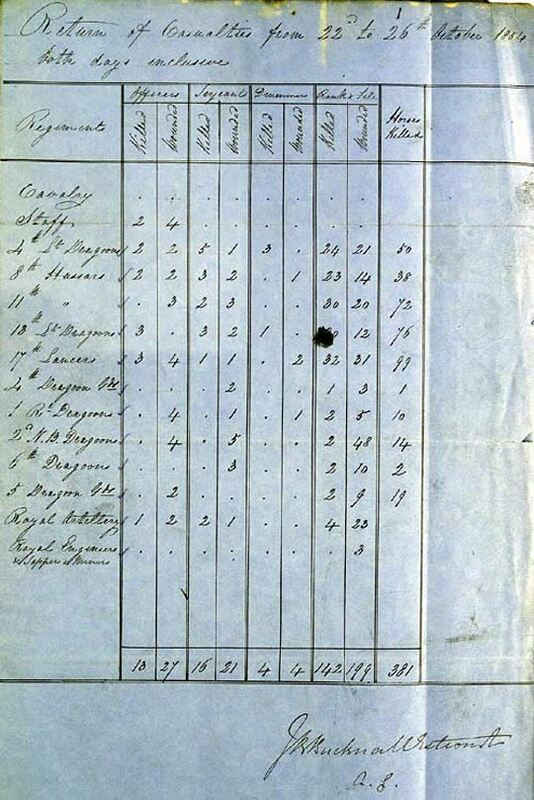 Lucan also failed to provide the support from the rest of the cavalry and the horse artillery mentioned in the order. 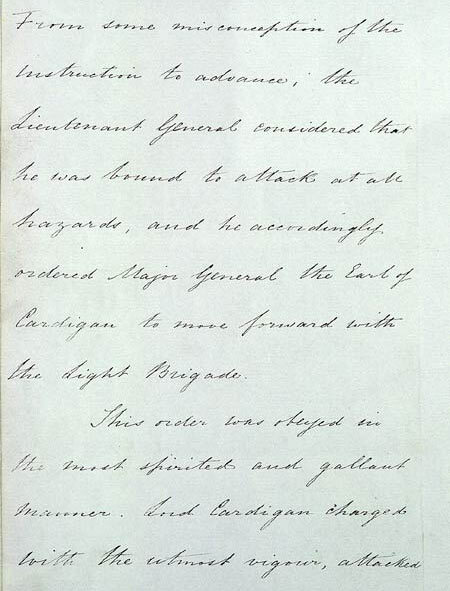 After the charge, Lord Raglan blamed Lucan. Originally published by The National Archives under the terms of an Open Government License. This entry was posted in History, Warfare. Bookmark the permalink.